Very excited, and quite a bit relieved! I saw that I’d gotten the review early in the morning, but wasn’t able to log in to to see what I’d been awarded. So I spent a few hours angsting over it before I got to see the review itself. When I did, it really felt like a milestone to me, because this was the completely unbiased opinion of someone who’s never met me, who owes me nothing. It was very bracing to receive that kind of support. You’ve been working so hard to get the book published, did you ever stop to think how you might feel when the reviews started coming in? I wouldn’t classify myself as a pessimistic person, but I would most definitely classify myself as an anxious one. In the weeks preceding the book’s release, I actually had nightmares about getting zero-star reviews from everyone we’d sent the book to, but I feel like those fears are natural. Nobody likes hearing that someone hates their work, especially if they’ve spent more than a decade on it. I think every artist will be able to identify with the fear of putting their work out into the world, but I also think you shouldn’t be afraid of the naysayers. There will always be someone who doesn’t appreciate your art, but that shouldn’t stop you from creating. For me, I just figure that the people who don’t like my book aren’t the people I’m trying to reach. The people who feel something when they read it – and who can draw strength from its message – are the ones I’m speaking to. Five star ratings are becoming a recurring theme for Dragon Speaker, with the book scoring top marks on both Goodreads and Amazon. How long can this continue? I hope that the good reviews will encourage even more fantasy lovers to give the book a try. I’m very familiar with the fantasy/sci-fi genre and its fans, so I have a good idea of what readers will enjoy. 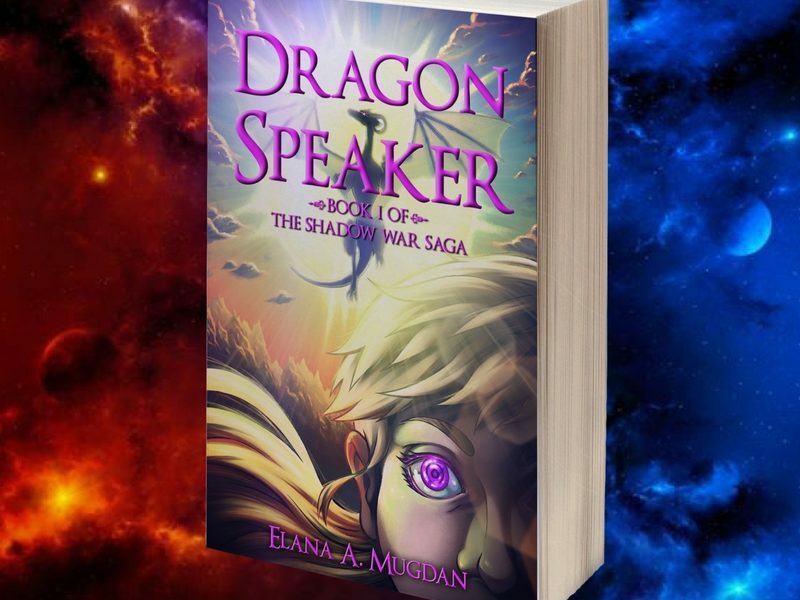 I think Dragon Speaker will appeal to those who love magic, and I would recommend it to fans of Eragon, The Hobbit, and the Harry Potter series. And if people do read it and enjoy it, then I think the good reviews will continue to follow. The great thing about people who love books is that they also love other people who love books. If you find a great book, your first instinct is to share that information with your book-loving friends! It’s really a wonderful community, and I think the best thing that can happen for any book is for people to become aware of it, to know it’s out there so they can get their hands on it. Explain what it means to you when people who you’ve never met give your book the maximum rating, and leave such complimentary feedback. To me, that’s the mark of success as a storyteller. The first people you ask for critiques are always your friends and family, and while I trusted and valued the opinions of those who read my early manuscripts, I knew their opinions might be softened or influenced by the fact they knew me. When you ask your mom to read your book, you love her for telling you it’s the greatest thing ever written, but you also suspect she only thinks that because she’s your mom (and you’d be right). So receiving a critique from someone who has never met or spoken with me and hearing that they loved it is quite heartwarming. Of course, I cherish the feedback from everyone who took the time to help me over the years, because they each helped me move forward and gave me the strength to keep going. But this was a new experience and a new milestone in the book’s journey, and one I’m very grateful for. What do you say to those who have read the book and liked it, but perhaps don’t feel that writing a review is important? Providing a review is the single most important thing you can do for an author. If you take the time to share your thoughts with other readers, they’ll be infinitely more likely to read the book themselves. We trust the opinions of our peers, and I for one am much more likely to read a book my friend recommends to me than one I accidentally stumbled across on a shelf in a store. Books are a special experience and we invest a lot of time in them, so it makes sense that we only want to devote our time to the right books. If you post a review, it helps reassure fellow readers that their time will be well-spent, which may give them the extra push they need to buy it. You can buy a signed paperback copy directly from us, or get the Kindle edition for just £4.99! Still on the fence? Take a look at the Readers Favourite Review.